The Labor Council for Latin American Advancement (LCLAA) is hosting a Toy Drive with the toys going to children of farm workers. 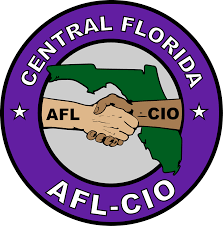 You can deliver the toys and party with union members at the Central Florida AFL-CIO party on Wednesday, December 12 from 6:30 PM – 9:30 PM at the Unite HERE office on 1255 La Quinta Drive, Orlando, FL 32809. If you would like to donate toys, participate in a wrapping party, or even help with delivery, contact Scott Launier at President@UFFUCF.org. LCLAA is one of our AFL-CIO partners, and you can learn more about their organization and membership (dues are only $25 per year) to support their work here: https://www.lclaa.org/.